You’ve decided to build your dream home. You’ve imagined it. You can almost see it – it’s everything you’ve always wanted. You’ve already gone over your budget and finances. And you’re ready. You have all that you need – except now, you have to choose your home builder. How do you find the right one? What should you watch out for? We’ve got the answers to all your questions. Start with some basic research. What builders exist in your area? Ask friends or families if they have a referral or know someone that is top notch. If that fails (and even if it is successful), check them out online. What do their past customers say? Are they quality? Do some digging. If they are new or don’t have reviews, it might be best to go with someone that is more experienced. You can also check out their website and their qualifications. On their website, you should be able to find a portfolio of past work. This can give you an idea if your style and their style match up. 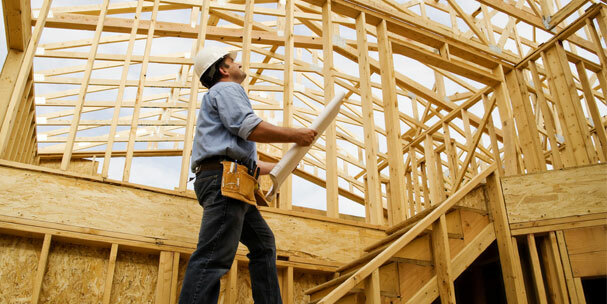 You’ve narrowed down potential builders. But you can’t make up your mind. Meet with them! Find out if you click in person. Show up with a list of questions and a list of your priorities. Do they answer your questions? And do they answer them well? Do they pay attention to your needs and wants? Do they take your opinion into consideration? They should. Remember, you are the one paying for it and you are the one that has to live in it. You may have already done this online – great! But a driveby never hurts. Do these homes look good still? How are they after a few years of wear and tear? Is it what you want in your home? Seeing their work in person can help you make up your mind. Sometimes, you can also tour model homes – ask them about this when you show up for your first meeting. And make sure to look for signs of quality – do they do a good job? Is it sloppy? Or is everything finished properly? Double checking never hurts. If you haven’t seen any sign of a license or a warranty, ask about it. Scams aren’t common… but they aren’t necessarily unheard of. Cover all your basis before signing any contract. In other words, get ready to watch your dream become a reality. Once you’ve selected your home builder, the process is officially underway!